PS4‘s system software v2.00, codenamed Masamune, is making its arrival tomorrow and we can’t wait for you to check out all the new enhancements it’ll bring to your PS4. This update adds unique, forward-looking features like Share Play, and addresses some of the most highly requested features from the community including YouTube integration, USB music player, ability to find players you may know, sorting options for PS4’s game library, and themes that change the look of your home screen. This is the biggest update we’ve delivered to date for PS4. For a look at what you can expect, check out our walkthrough video on key Masamune features. And don’t forget to watch the walkthrough video of the SharePlay feature. Share Play: PlayStation 4 will create an online local co-op experience by allowing you to invite a friend to join your game — even when they don’t own a copy of it. PlayStation Plus membership is required for certain Share Play features. YouTube: Upload your gameplay highlights directly from PS4 to YouTube by clicking the “SHARE” button on DualShock 4. 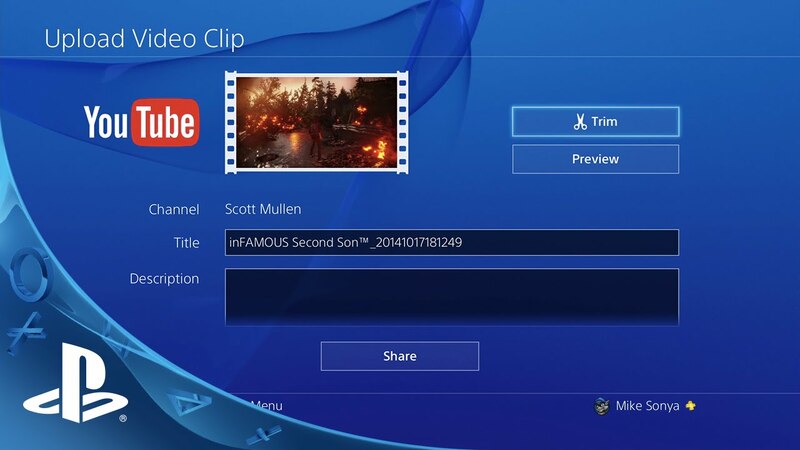 In addition, a YouTube app for PS4 will be available to download from the PlayStation Store. 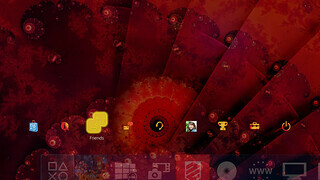 Themes & Colors: Personalize your home screen background with select themes and colors. As a big thank-you to the PlayStation Nation, we want to kick-start your dynamic theme options by giving away a theme for two of the biggest titles gamers will be playing on PlayStation 4 this fall; Destiny and Call of Duty: Advanced Warfare. Both themes will be available for download on Tuesday. Content Area & Library: Find and access your content quicker with a redesigned Content Area and improved filter and sort functions for the PS4 Library. USB Music Player*: Insert USB memory with music in your PS4 and start playing your favorite tunes in the background. What’s New: To make the activity feed more relevant and timely for you, What’s New will add Friends of Friends suggestions and Live Broadcasting updates from your friends at the top of your feed. For the full list of features in PS4 system software update (v2.00) and instructions for updating your PS4 system, please visit this page after the update goes live. As a reminder, you can also set your PS4 to download system updates automatically. Also available tonight is a new system software update (v3.35) for PS Vita and PS TV, which includes 4-player Remote Play support for PS TV, as well as the Live from PlayStation app, which allows you watch game streams from PS4 on both your PS Vita and PS TV devices. A full features list and instructions for updating PS Vita and PS TV can be found here after the update goes live. This has been an amazing first year for PS4 so far, with more than 10 million units sold and a robust set of new features already added including SHAREfactory, automatic pre-download, and more. We are pleased to see the great feedback we’ve been getting from fans like you, which helps us to make PS4 the best place to play. Let us know what you think about these new features and let’s keep the conversation going! *User can play music files stored inside USB storage but cannot copy music files to PS4 HDD. This application cannot be used at the same time with Music Unlimited. USB Music Player will appear once USB storage is inserted, and will disappear once USB storage is removed. Will the ability to change status (like on PS3) to online, offline or busy be featured in 2.0? Good things, but when are you going to give us DLNA? I can hardly wait for the PS4 update plus PSV update as well. It would be totally awesome if sony would release the PS4 update along with PSV update tonight at 9pm or so instead of tomorrow night so I don’t have to worry about waiting till wednesday morning to upgrade my gaming systems. Hopefully we wont have to wait as long next time for new features to come to the PS4. and btw… FAILCLUB PS+ edition? When? I wonder when the notifications for friends logging on/off will be put in. this is a fantastic update the only things that are missing is the ability to sort our trophies in different formats in the ability to change out PSN name. Can i use music from itunes on the usb stick for backround music? I uploaded a youtube video and only got 2 views from it. How do you get more people to view your stuff on youtube? The ability to remove items from my Library would be awesome! Its too bad there isn’t video player support. Hopefully it goes smoothly without any hiccups. Any of these will do. Make it happen Sony! A good step in the right direction! Can’t wait to play around with the update! (1. I dont know if you guys are aware but lately the message system has been broken, you see once i receive a notification for a new message most times it takes 2-5 minutes just to sync with the servers for me to even be able to see my new message. 2. Ability to set and use my Purchased avatars from ps3 on my ps4 plz. 4. Last but not Least can you explain to me why my ps4 cant play my ps 1 classics I brought from the store yet? Will we be able to pause downloads? I like everything so far but would prefer a fixed or monthly ish update release with one featture or upgrade or so. i dont get why this waited so long and still some features are half done. the shareplay update i understand taking long and should have been a big 2.00 update as it is an innovative feature but music and video support should have been released long ago atleast with this usb method DLNA etc could have waited a bit if there was an alternative for video playback. another thing im wondering is why this auto sorting for the XMB was half done it should have been really easy to implement this fully and allow custom folders and XMB. anyway love the new features sad that there still isnt any video playback support or why after taking so long some ideas are still have done. Does the “follow” button mean that the broadcaster will get a follow on Twitch? Or is it restricted to user name on ps4? @Scott McCarthy-First i want to say great job with this update but I have a couple questions. 1)Will I be able to watch a PC stream on my ps4 and be able to comment also? 2)Will I be able to watch YouTube videos at 720p or 1080p? 3)What was the special surprise theme you guys talked about in the last update 2.0 post? The ability to switch games without having to end the stream. i understand some people want to be able to save music/video(eventually) to the HDD but i suspect the reason MS and sony dont do this is to avoid copywrite problems(if its not on their system directly they arent responsible) and to prevent security risks by allowing access to write to the HDD directly. time will tell i gues. i do admit it would have been nice to be able to do it since my headset alrdy takes up one usb slot but i can see the reasons behind it. Looks great! Are there any other holiday bundles coming? Looking to get my PS4 soon. Will this fix error CE-34632-8? little big planet 3 BETA! I want. Great stuff! Please add PS1/PS2 compatibility, DLNA, and suspend/resume in the next one. Thanks for the great work! So will the Vita update upgrade the Remote Play functionanilty in any way? Or will remote play ever improve in any way? 1080p or 60 frames per second streaming?? Especially now that the Z3 tablet can remote play and is native 1080p. Looking forward to the updates regardless. so it’s a year now, when can we see “Suspend mode”?? I hope that the game Library will appear when offline. Some are telling me otherwise. Also, are Offline Trophies in the works? Does it mean I can be playing a game and my music list can still be played and controlled while I play? i gues the “more to come” from the last update was the pause/resume download feature? anyway what i only really wanted since the beginning was video playback id settle for usb playback but now that it is taking longer still i hope for atleast USB and DLNA suppport. honestly i dont see the reason why so many want the suspend mode but you prommised it and should deliver on that. you can already suspend the app/game i gues its figuring out how to store all that info in the ps4 memory or reserved HDD space in order for it to go into sleep mode and wake up with everything intact. Hi. Will be able to have the YouTube app running while we play a game? Because sometimes I use a video as a guide (collecting things, for example) and (in the browser) I look, pause, return to the game, play, pause, return to the browser, etc. AWWWWW YEAH!!!!! this plus Freedom Wars in the same day…and the weekly Destiny reset…time to hit that Vault of Glass again. No DLNA? With all due respect, is Sony that out of touch with what people actually want? The PS3 didn’t have DLNA out of the box when it launched, but it didn’t take this long either. Their main competitor not only has DLNA but MKV support as well. All i want is a working and fast PSN. Come on Sony, invest some of the PS+ money in new servers. @33 yes it means that the music plays while you do other stuff and from what i remember you can hold the ps button to bring up the menu and change music in there like the unlimited music does. Not that I won’t love the features, or I am ungrateful, but why does Sony insist on putting on the firmware updates the same exact day the PS Store updates and retail gets the games. You are forced to update if you want to shop the store (yes, I could use the web store), and to update before you can play online. In the interest of bugs I usually wait for two days to make sure it is stable, but I can’t do that and play the latest release. 1. 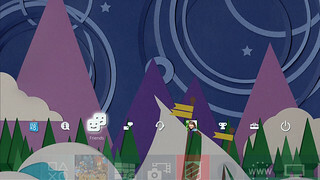 For custom themes do we only have the option to get them from the PS Store or can we insert our own custom made themes into the system/use pictures from our gallery as backgrounds? Similar to the PS3 options. 2. Can we use the music we have for custom tracks in games, like WWE2k14, for our character customization? Will this update allow the raiders to win a game? i wonder what the new friendslist symbol is. there are rumored to be online/offline/busy status now but to me it seems more like its the same circle as the broadcast checkbox (i know is a standard checkbox) maybe it means one of your favorited friends is streaming? Is live streaming to YouTube not going to be offered? Why not? We will receive a truly revolutionary thing like Share Play and people just complain for the lack of some features a few really care… geez… the “players” are never happy.